Save 5% - 25% on your Walt Disney World Resort Hotel with the Summer Savings Offer. Disney has released a new Discount Promotion for Summer 2012. You can save on the room portion of your Disney World vacation for most arrivals from June 15 – August 14, 2012. 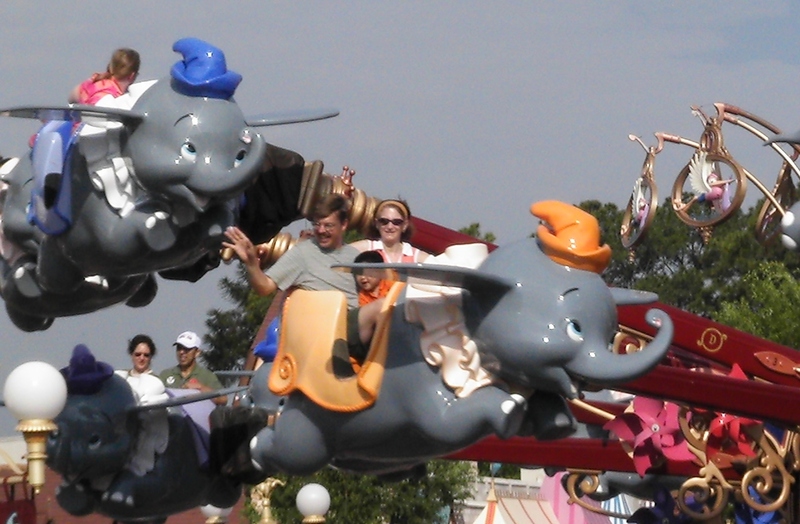 Save 5% at Disney’s All-Star Movies, Pop Century and Port Orleans French Quarter Resorts. Save 15% at Disney’s All-Star Sports and All-Star Music Resorts. Save 20% at Disney’s Grand Floridian, Contemporary, Coronado Springs, Caribbean Beach, Port Orleans Riverside Resorts and Disney’s Fort Wilderness Campground. Save 25% at Disney’s Yacht & Beach Club, BoardWalk, Animal Kingdom Lodge (standard views only, Saratoga Springs, and Old Key West Resorts. Other rates may be available for other Disney World Resort Hotels. Existing Reservations: This promotion can be applied to existing reservations but you’ll need to contact Disney or your travel agent and request the offer – it will not be automatically applied to your existing reservation. 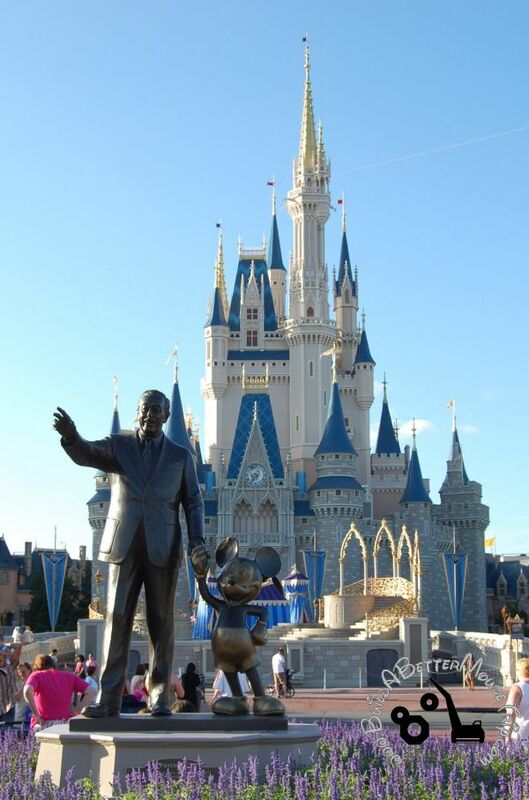 Contact us today to book your Disney World Summer Vacation! 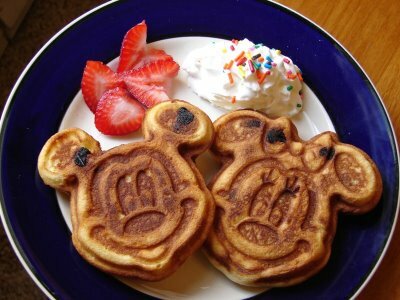 Disney currently has a great money saving free-dining promotion for guests booking a qualifying Disney World Vacation Package between August 25 – September 29, 2012. Book a qualifying vacation package at a Disney moderate or deluxe resort and receive the Standard / Plus Dining Plan at no extra cost. This dining plan includes 1 counter-service meal credit, 1 table-service meal credit, and 1 snack credit per person, per night of stay. Receiving this dining plan free of charge saves a family of four at least $107 per night of stay, based on the regular cost of this dining plan. You can upgrade to the Deluxe dining plan and just pay the difference between the standard and the deluxe plans. Contact us for details. Book a qualifying vacation package at a Disney Value Resort (All-Star or Pop Century resorts) and receive the Disney Quick-Service Dining plan at no extra cost. The quick-service plan provides two quick/counter-service meals + 1 snack per person, per night of stay. Receiving this plan at no extra cost saves a family of four about $85 per night of stay. You can upgrade to the Standard or Deluxe dining plans by paying the difference between the quick service dining plan (received at no additional cost) and your preferred dining plan. Contact us for details. 2012 Free Dining Promotion – Travel Dates: August 25 – September 29, 2012. Must book by May 18, 2012. There are a limited number of promotional packages available at each resort so book early to get your first choice in resort. You must pay the $200 deposit at the time of booking with the balance due 45 days prior to arrival. Deposit is fully refundable up to 46 days prior to arrival. Dining Reservations – Book your dining reservations immediately. The free dining promotion has a serious impact on the number of available dining reservations and some restaurants may already be fully booked at certain times. Remember that we book dining reservations on your behalf (subject to availability) when you book your Disney vacation through Build A Better Mouse Trip. In addition to the free dining promotions, you can receive vacation planning help at no additional cost when you book your Disney vacation through Build A Better Mouse Trip. We help with establishing a “Best Days” itinerary, help with dining reservations, and provide either a subscription to Tour Guide Mike, TouringPlans.com or a new edition of The Unofficial Guide to Walt Disney World (guidebook) to help you with touring plans that keep you ahead of the crowds and out of the long lines. Contact us today to book your vacation. Disney is once again offering this great money saving promotion to guests booking a Disney “Memories” Vacation Package between August 28 – September 24, 2011. Book a qualifying vacation package at a Disney Value Resort (All-Star or Pop Century resorts) and receive the Disney Quick-Service Dining plan at no extra cost. The quick-service plan provides two quick/counter-service meals + 2 snacks per person, per night of stay. Receiving this plan at no extra cost saves a family of four about $85 per night of stay. You can upgrade to the Standard or Deluxe dining plans by paying the difference between the quick service dining plan (received at no additional cost) and your preferred dining plan. Contact us for details. Travel Dates: August 28 – September 24, 2011. Must book by August 27th, 2011. There are a limited number of promotional packages available at each resort so book early to get your first choice in travel dates and resort. Trip Insurance – The travel dates for this promotion fall within Florida’s hurricane season; consider purchasing trip insurance (either through Disney, your airline, or another insurance provider), especially if you have non-refundable, non-transferable airline tickets. Trip insurance is not usually a good value if you are driving. In addition to the free dining promotions, you can receive vacation planning help at no additional cost when you book your Disney vacation through Build A Better Mouse Trip. We help with establishing a “Best Days” itinerary, help with dining reservations, and provide either a subscription to www.tourguidemike.com, www.touringplans.com, or a 2011 Unofficial Guide to Walt Disney World (guidebook) to help you with touring plans that keep you ahead of the crowds and out of the long lines. Contact us today to book your vacation. Note: Build A Better Mouse Trip is an independent travel agency specializing in Disney World vacations. We are not employees of Walt Disney World Resort or the Disney Travel Company. The first two weeks of August are still busy at Walt Disney World but crowd levels slowly decrease through the second half of August as kids head back to school. The weather can be hot and humid but, by doing a little advance planning, you can still plan on having a great time on your WDW summer vacation. 1.) Summer Vacation means lines and crowds. 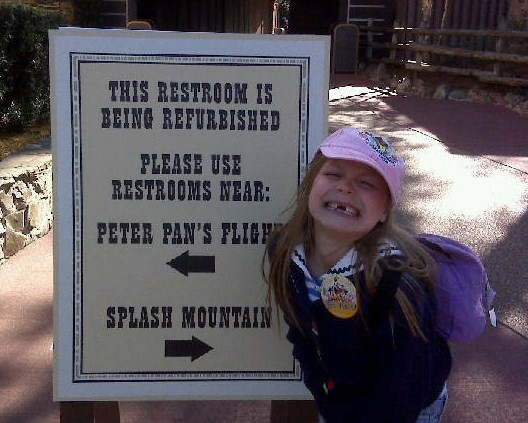 Sure, people are worried about the economy but Disney responded by offering some great promotions. Families will still be flocking to Walt Disney and the first two weeks of August will see peak crowds (an 8- 10 on a crowd scale of 1-to-10). A good touring plan will keep you ahead of the crowds and out of the long lines. 2.) Fantasmic! (Disney’s Hollywood Studios) –This great show is no longer presented every night. It will be offered August 1, 3, 5, 8, 10, 12, 15, 17, 19, 22, 24, 26, 29. This is a very popular show and we highly recommend it – arrive at least 60 minutes early, if you do not have a Fantasmic! Dinner package. Warning: When there are limited performances, you know Disney’s Hollywood Studios is going to be busier on days featuring a Fantasmic! show. Afternoons will be especially busy as those with Park Hopper tickets come over to see the show. You’ll probably want to catch Fantasmic! so be sure you have a good touring plan that will help you manage the crowds and you’ll be fine. Warning: This show is excellent but it does feature villains for a good 8-10 minutes. The scene is fairly intense and can be frightening to small children. 3.) Main Street Electric Parade & SpectroMagic Parades (Magic Kingdom) – The Main Street Electric Parade is offered every night through August 14th. The SpectroMagic Parade will be presented on August 15 16, 17, 18, 19, 20, 21, 23, 24,26, 27, 28, 30. The following dates do not have a nighttime parade: August 22, 25, 29, 31. 4.) Extra Magic Hours – (Special hours only available to Disney resort hotel guest)! We recommend that everyone avoid the Extra Magic Hour park of the day during the peak summer travel season. Disney has 33,000 hotel rooms and no one goes to Disney alone – that means too many people are pointed in the same direction at the same time. You’ll have a much nicer time by going to a less busy park. This is doubly important if you are not staying at a Disney resort – you don’t want to get to the theme park and find a bunch of Disney guests in line in front of you. 5.) Free Dining Promotion – this promotion is offered to keep guests coming during hurricane season and after school is back in session. The crowds in the parks are moderate but this promotion really impacts the availability of dining reservations. Book your dining reservations right away. 1.) Summer Nightastic! Special events in the Disney theme parks through August 14th. Magic Kingdom Theme Park – the “Main Street Electrical Parade” and the “Summer Nightastic Fireworks Spectacular”, led by Tinker Bell, is offered nightly. Disney’s Hollywood Studios – Twilight Zone Tower of Terror will have new lighting effects created especially for Summer Nighastic!. “Rock N’ Glow Dance Party” in the courtyard near the Rock’n Roller Coaster. 3.) DREAM OUR DREAMS – A Musical Tribute to the Legacy of Disney Benefit Concert- August 6,7 & 8 @ 8PM. Matinee performance at 2:00PM on August 8th (Epcot). Encore! Cast choir & Orchestra will perform in Epcot’s World Showplace. This special concert is a benefit for the “Make A Wish Foundation” and requires a special ticket. Tickets are $15 each, if purchased in advance through the website at http://encorecentral.org/ . Tickets are $20 (cash only) at the door. “it’s a small world” (Magic Kingdom) will be closed August 1 – October 22nd. Liberty Square Riverboat (Magic Kingdom) will be closed August 16 – 25, 2010. Toy Story Mania! (Disney’s Hollywood Studios) will be closed for refurbishment from August 16th – 28th, 2010. Walt Disney: One Man’s Dream (Disney’s Hollywood Studios) will be closed for refurbishment from August 16th – November 2, 2010. Power Rangers (Disney’s Hollywood Studios) are leaving Disney (They’ve been sold back to the original owner) but will continue with Meet-&-greet appearances through August 7th, 2010. Disney’s Palm Golf Course – closed August 2 – 8, 2010. Disney’s Magnolia Golf Course – closed August 9 – 15, 2010. Disney’s Lake Buena Vista Golf Course – closed August 16 – 22, 2010. Disney’s Osprey Ridge Golf Course – closed August 23 – 29, 2010. Disney’s Oak Trail Golf Course – closed August 30 – September 3, 2010. 1.) Summer Magic Promotion – this promotion provides a discount on your room rate for “Room Only” and vacation package reservations. Are you staying at a Disney Deluxe resort? Compare this with the “Free Dining” promotion to see which offer provides the better value. Contact us today to book your Disney vacation. Theme park touring plans that keep you ahead of the crowds and out of the long lines. We will provide a subscription to Tour Guide Mike, a subscription to touringplans.com or the newest edition of The Unofficial Guide to Walt Disney World (guidebook) at no extra cost to you when you book your Disney vacation through Build A Better Mouse Trip.